Haydon Harvey was born in Cape Town and began to take piano lessons at the age of 10. Two years later he also started with clarinet lessons at the Beau Soleil Music Centre. He pursued both instruments into his tertiary studies with piano ultimately being chosen as his primary instrument. 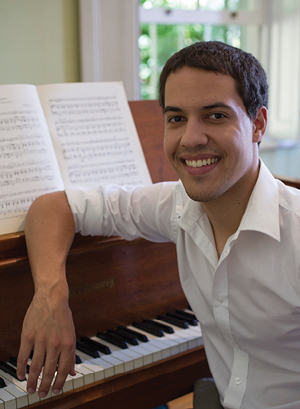 Haydon studied piano under Benjamin van Eeden and acquired a Bachelor of Arts with Music degree at the University of Stellenbosch. He also took masterclasses with Albie van Schalkwyk, Francois du Toit and Luis Magalhaes. In addition to classical styles, Haydon is a self-taught jazz pianist who had brief tuition at the Stellenbosch Conservatorium with Andre Peterson. Haydon has played in a variety of improvisation ensembles, most notably the Stellenbosch University Jazz Band. In 2013 he attended the Grahamstown Youth Jazz Festival with the SU Jazz Band. That same year his trio, the US Trio, won first prize in the jazz category of the Stellenbosch Ensemble Competition. Haydon is also a composer and has had a number of his chamber and big band works performed at the Stellenbosch University. 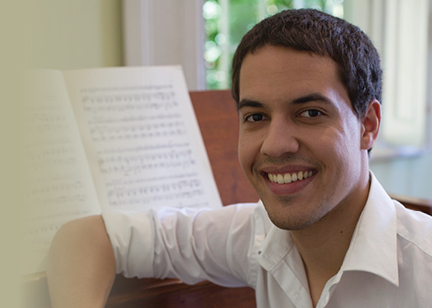 In 2017 Haydon began teaching at the Johnman Music Centre, where he maintains a full-time piano teaching studio.